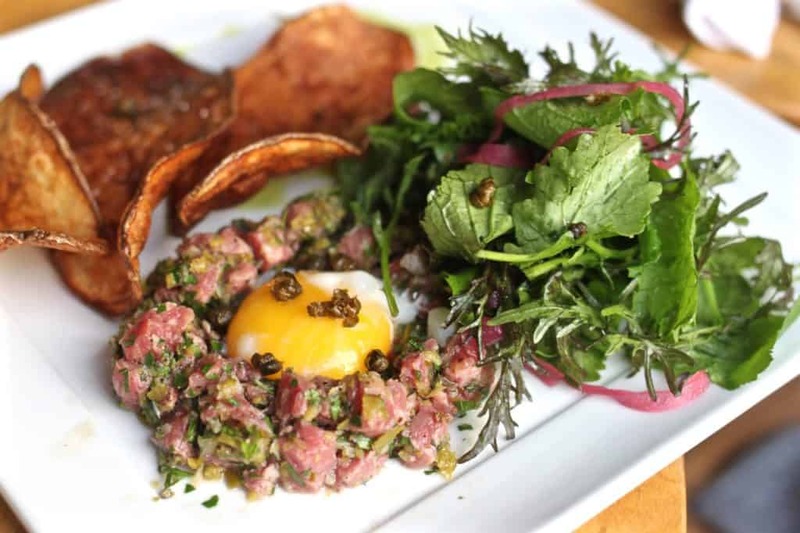 Welcome to a foodie’s guide to Missoula restaurants. Missoula Montana is officially one of my favorite cities in the entire United States. If you have any familiarity with this mountain town it might be because you watched Brad Pitt as a young buck starring in A River Runs Through It (which I highly recommend), or you might’ve passed through Missoula on your way to Glacier National Park (also highly recommend), or perhaps you had a friend or family member who attended the University of Montana a few years back. Regardless of what you know, I’m here to tell you that Missoula is one of the best kept secrets in the entire Northwest. 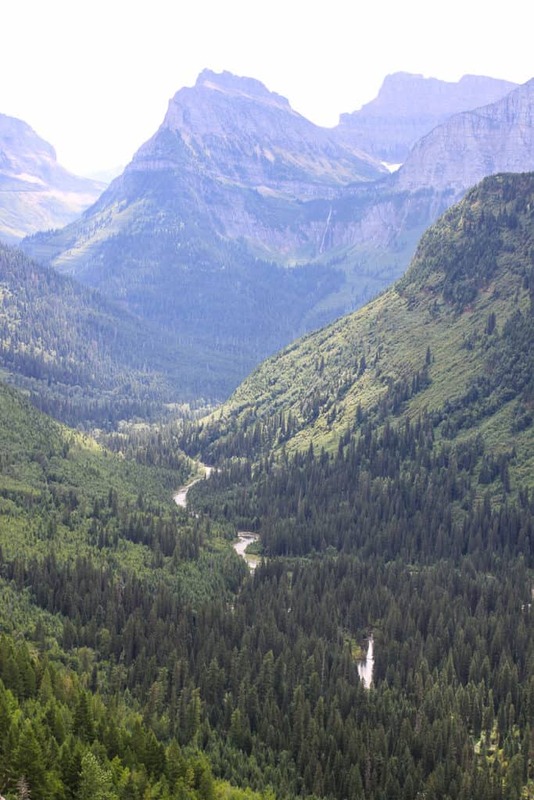 Whether you’re into fly fishing, hiking, mountain biking, or just living that small-town life, there’s something for nearly everyone. But what unites us all at the end of the day is the food. 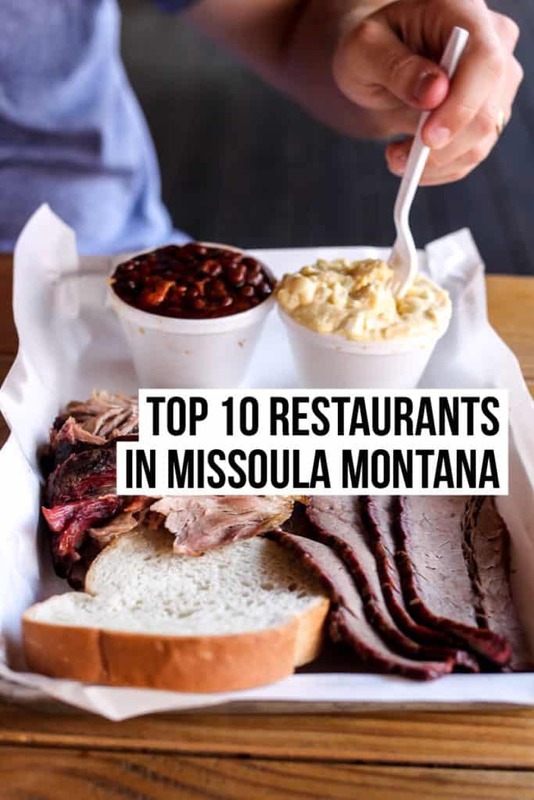 And there is a lot of fantastic food when it comes to Missoula restaurants. When I typically investigate the dining scene in a smaller city like Missoula, people seem to be more forgiving when it comes to quality and standards. So when we spent four weeks in Missoula earlier this year, I took it upon myself to try nearly every last restaurant in the town to ensure that I had dotted all of my i’s and crossed all of my t’s. My list of top Missoula restaurants range from high-end dining options to inexpensive hole in the wall gems. 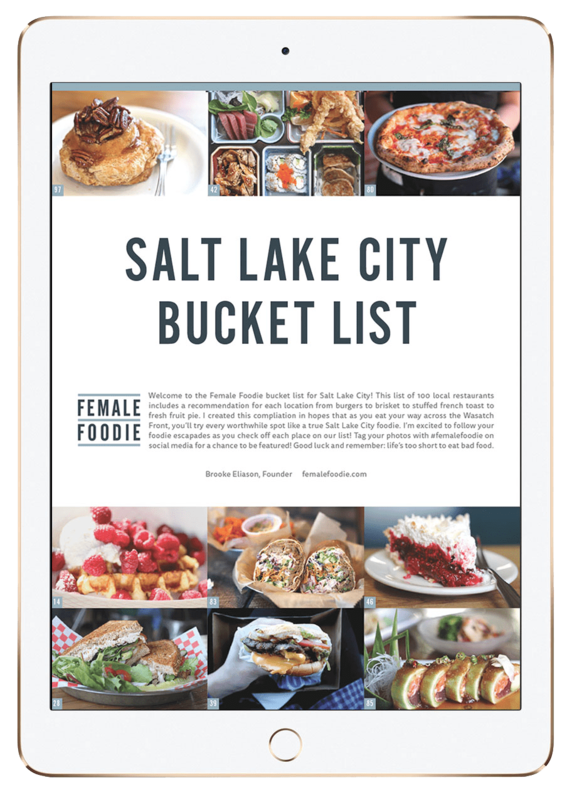 So whatever the occasion, next time you find yourself looking for food in Missoula be certain that you’re checking out my list of top 10 restaurants. Thanks for stopping by and enjoy my list! 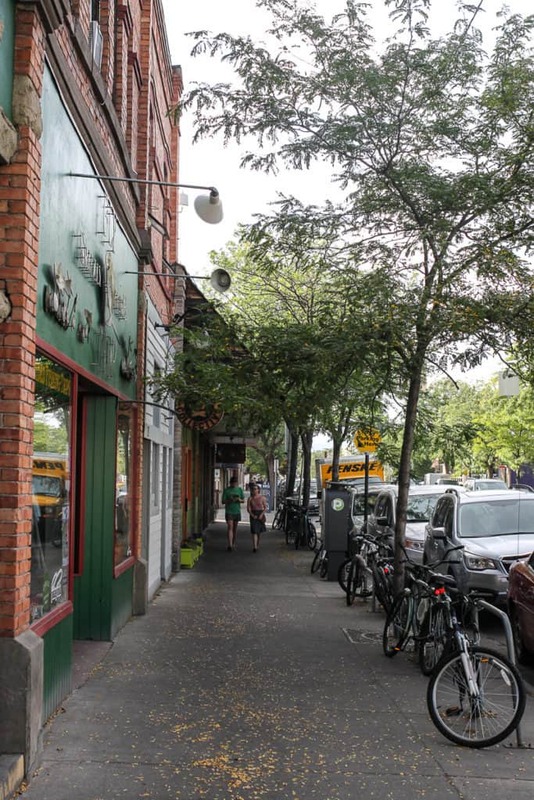 Tucked away in the beautiful Rattlesnake neighborhood of Missoula is one of the lesser known places to eat- the Rattlesnake Gardens Market & Cafe. 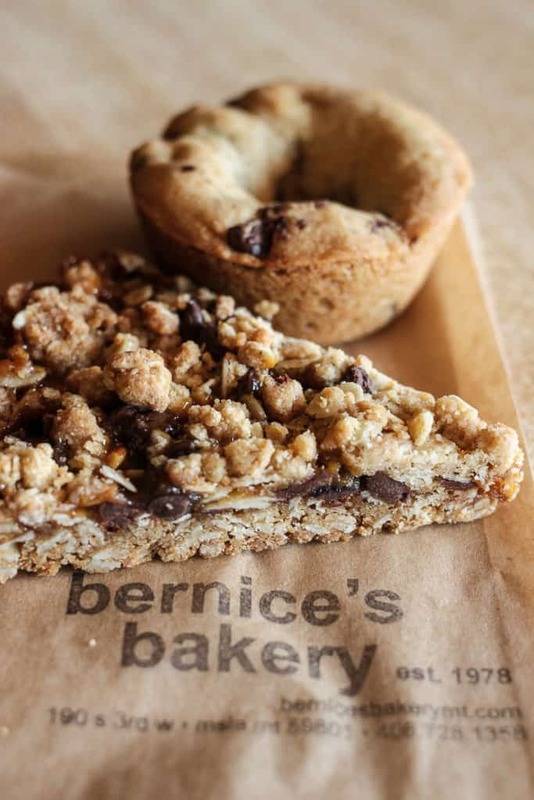 This is everything you want in a cozy, quaint, neighborhood cafe. They serve lunch & dinner daily and weekend breakfast. 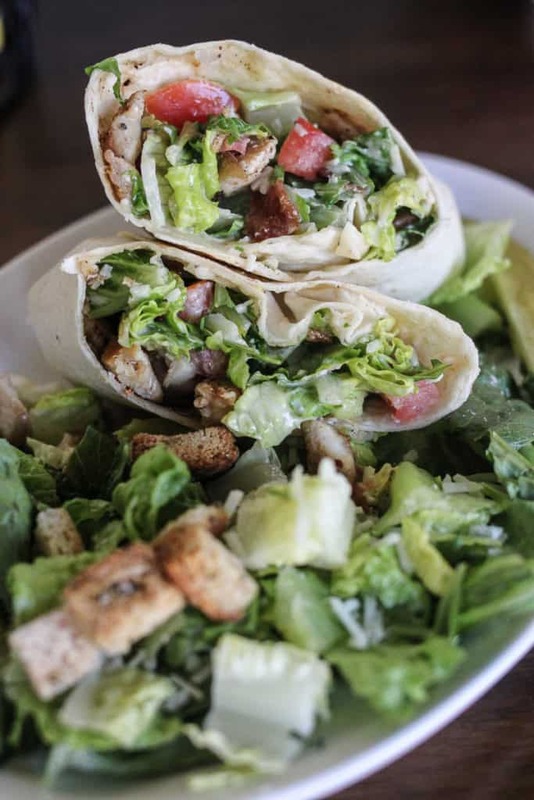 Our favorites include the grilled chicken caesar wrap and the lunch & dinner specials. I’m also a huge fan of their simple breakfast sandwiches on the weekends before taking off for a day hike. Delicious! If you’re looking for a great upscale or fine dining option among Missoula restaurants, The Pearl Cafe is a great place to start. This European influenced cafe serves classic menu favorites including filet mignon, grilled salmon with mustard butter, and Idaho Trout. 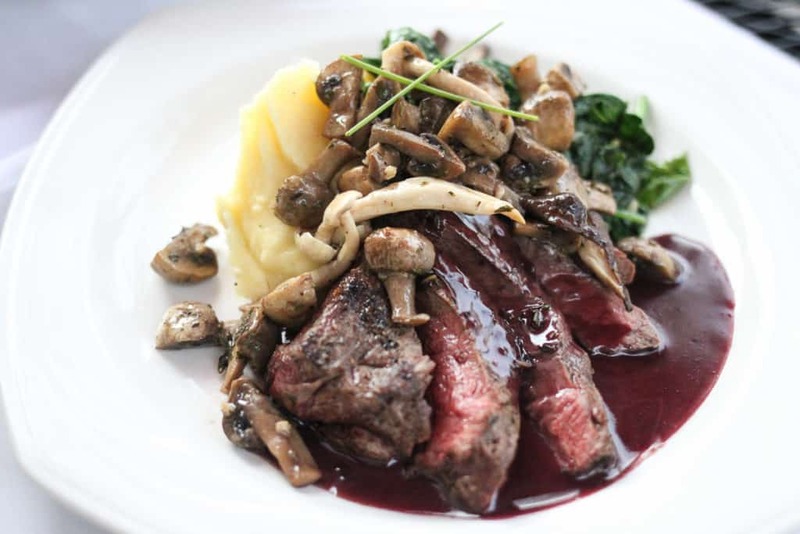 Personal favorites of ours include the french onion soup and the prime flat iron steak, served with smoked goat cheese mashed potatoes, a red wine reduction, sautéed greens, and a marinated mushroom medley. Make reservations ahead of time and dine outside on the patio when the weather is nice. 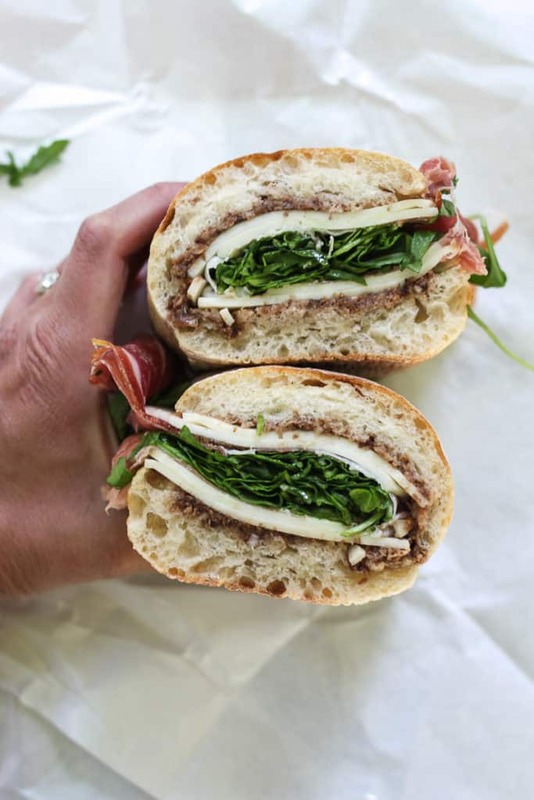 For those in search of a fantastic sandwich in Missoula, Tagliare Delicatessen is 100% your best bet. 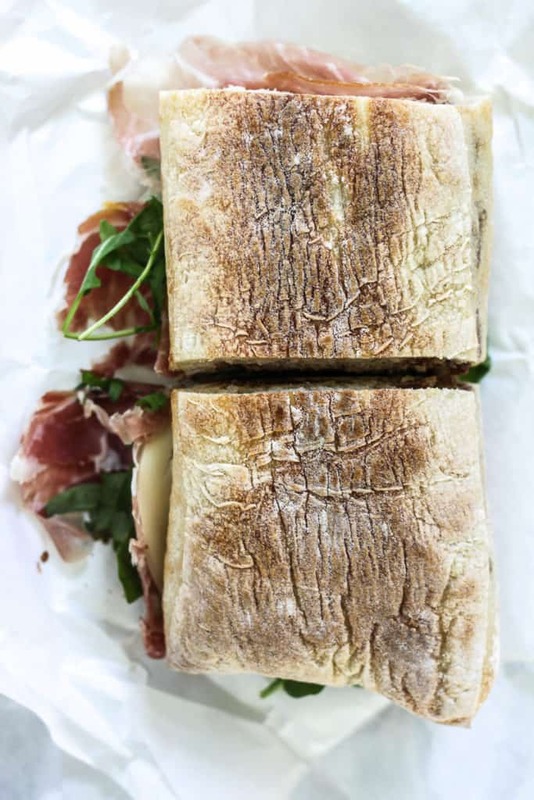 This delicatessen, although somewhat ordinary at first glance, serves some of the best craft meats and cheeses in the entire city. 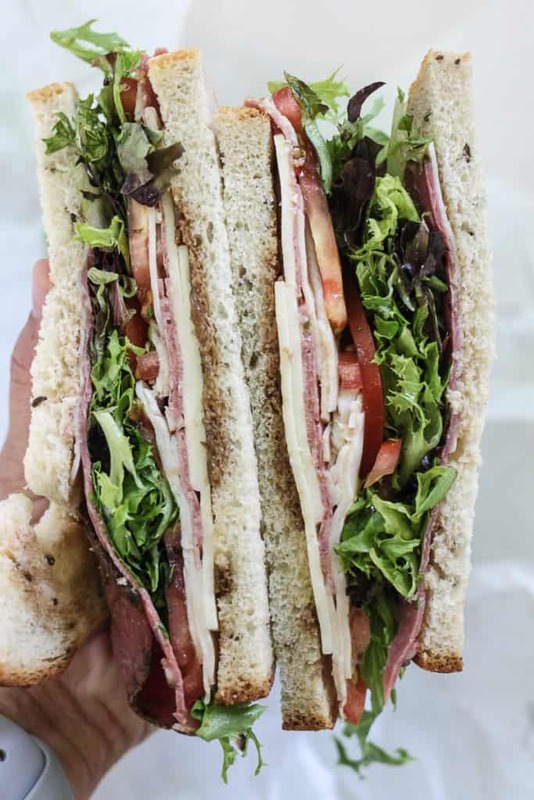 Favorite sandwiches include The Kiss (prosciutto, provolone, fig & walnut chutney, arugula & olive oil) and The Zeppelin (turkey, dry salame, pastrami, provolone, greens, tomatoes, onions, oil & vinegar). 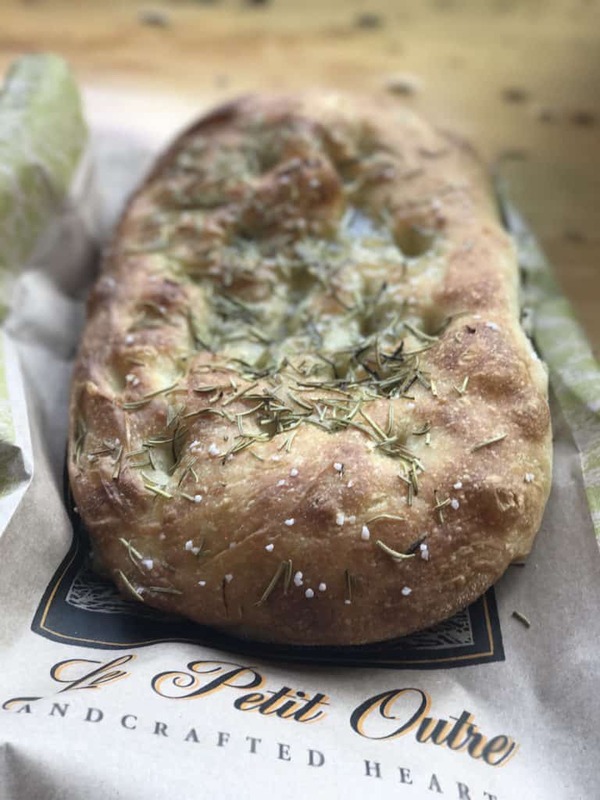 They also have an amazing selection of local and imported goods including homemade pasta sauces, oils, cheese, and charcuterie. My favorite fast casual food in Missoula and possibly one of the best fast casual restaurants I’ve ever eaten at is Five on Black. I absolutely love coming here for lunch or dinner here because the food is fast, fresh, healthy (major bonus) and reliable. 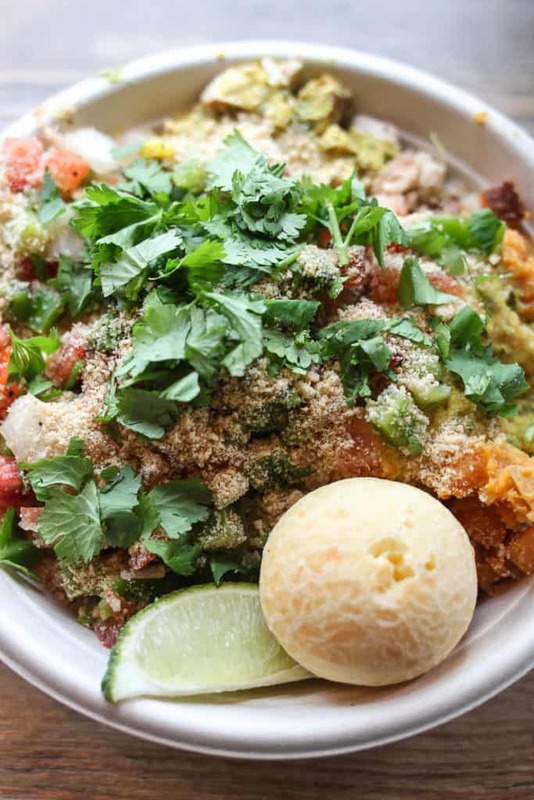 Step aside to all the dozens of Mexican fast casual joints, Five on Black has something unique to offer with their Brazillian influenced flavors. 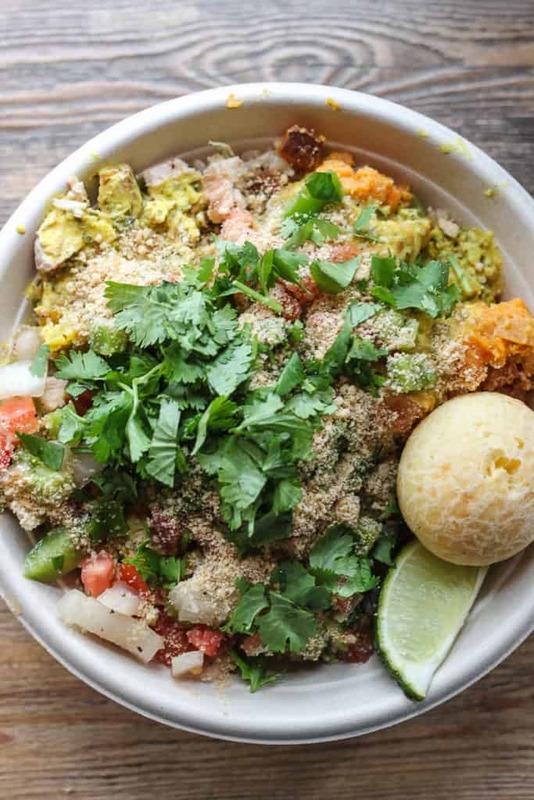 Choose you base (I like to do a mixture of greens and brown rice), protein (I’m a big fan of their rotisserie cooked chicken), vegetable (sweet potatoes are my favorite), sauce (if you don’t get the spicy coconut you’re doing it wrong), and toppings (give me all the chimichurri and farofa). And shame on you if you don’t finish it off with one of their adorable little Brazillian cheese rolls. One of the best Missoula restaurants no doubt! 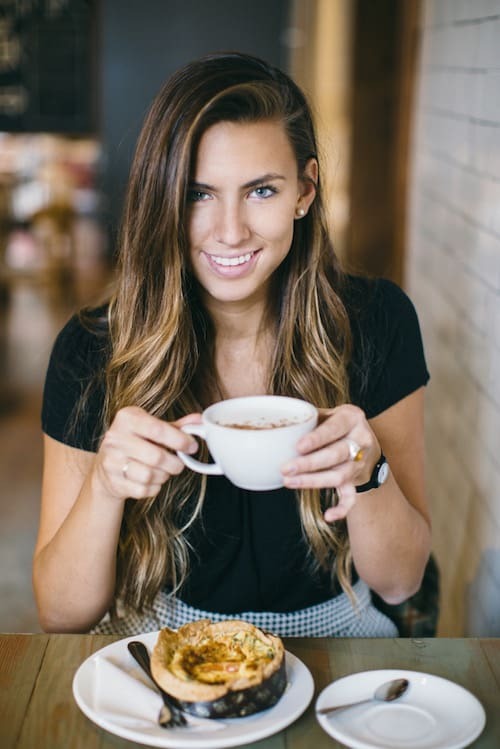 I’m going to shoot you straight when it comes to The Catalyst Cafe. It’s busy, it’s probably more hipster than you’re comfortable with, and the ownership is rumored to be on the pretentious side, but the food is simply amazing and if you’re in search of the best Missoula restaurants The Catalyst Cafe most definitely needs to be on your list. 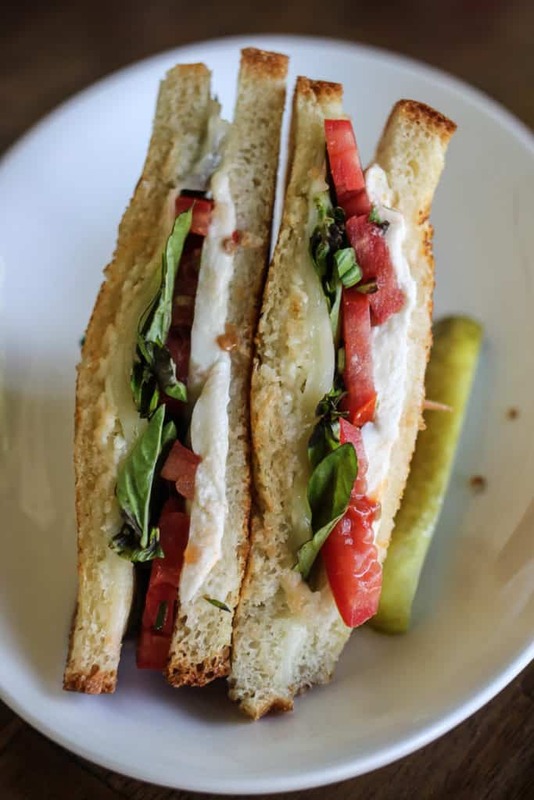 They serve breakfast & lunch each day and although there are several menu options to choose from we highly recommend starting with breakfast/brunch items. 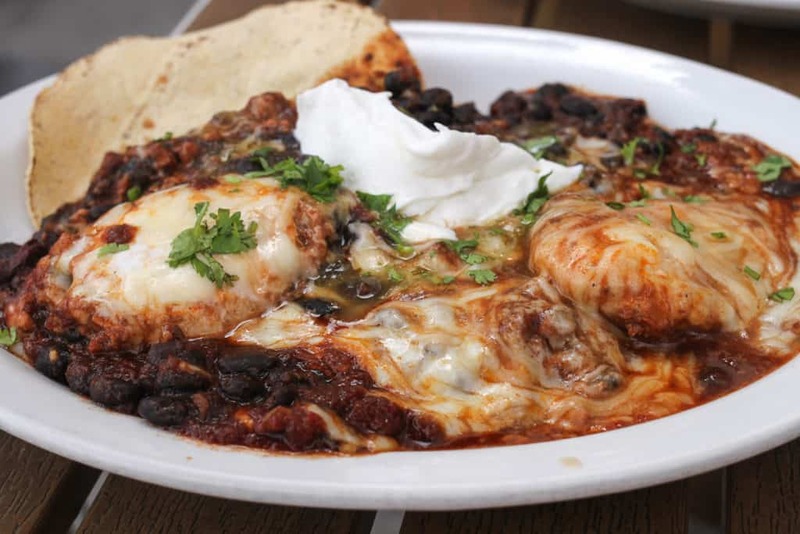 Some of the best menu items include the 3 egg omelet, huevos rancheros, and the chilaquiles. 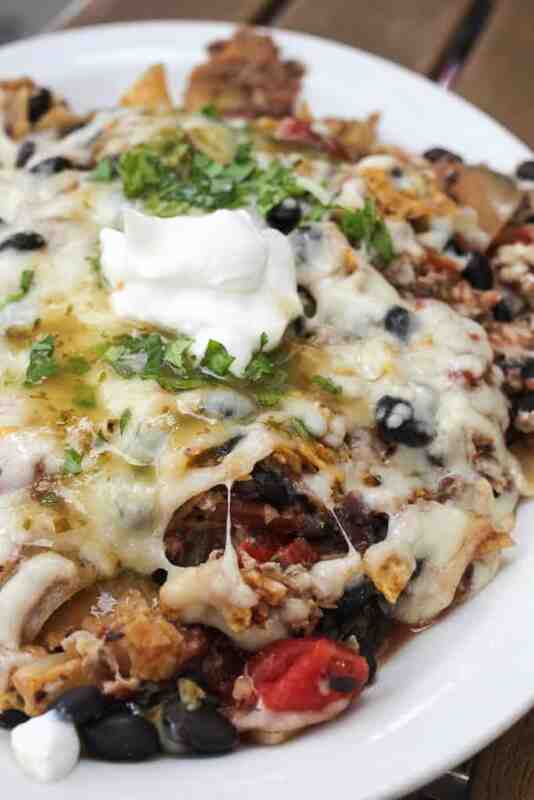 And if you’re really feeling it make sure to order any entree with a side of their popular cheddar potato casserole. Yums. While dining at Plonk I truly felt like two worlds were colliding- the small town feel that I had been engulfed in for weeks and a chic, sophisticated “big city” feel that the atmosphere, aesthetic, and menu of Plonk presents. Several locals enjoy coming to Plonk for the music or wine, but for me it was all about the food. 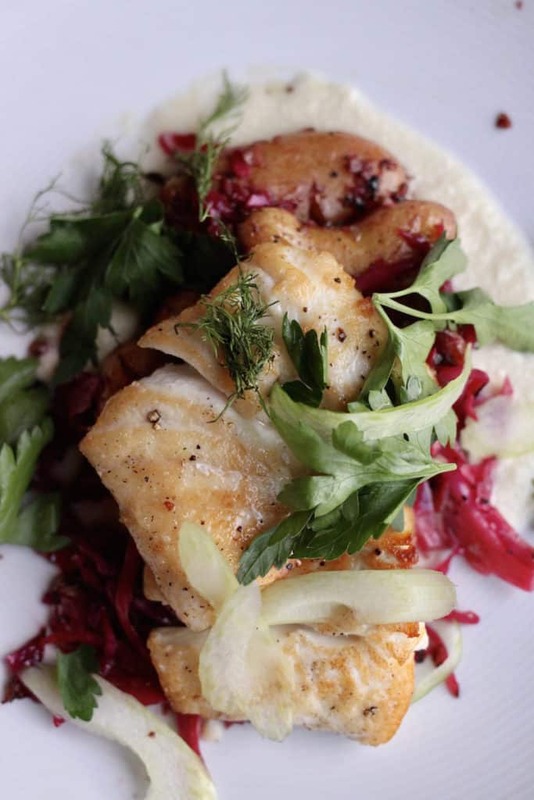 Every single dish we tried was flavorful, fresh, and detail-oriented. 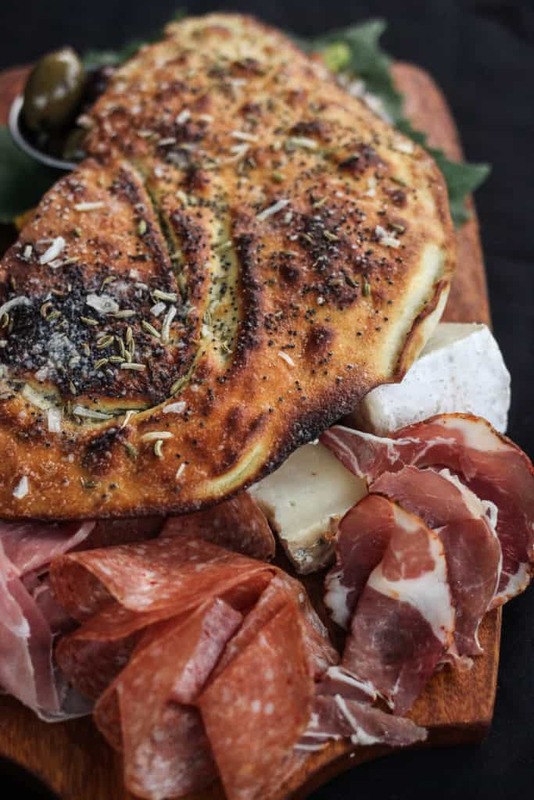 Plonk’s menu changes seasonally, so you won’t likely find the same menu items each time you’re visiting, but we recommend asking for the chef’s recommendation and treating yourself to a couple of appetizers, an entree, and dessert of course. A definite must try when it comes to Missoula restaurants. 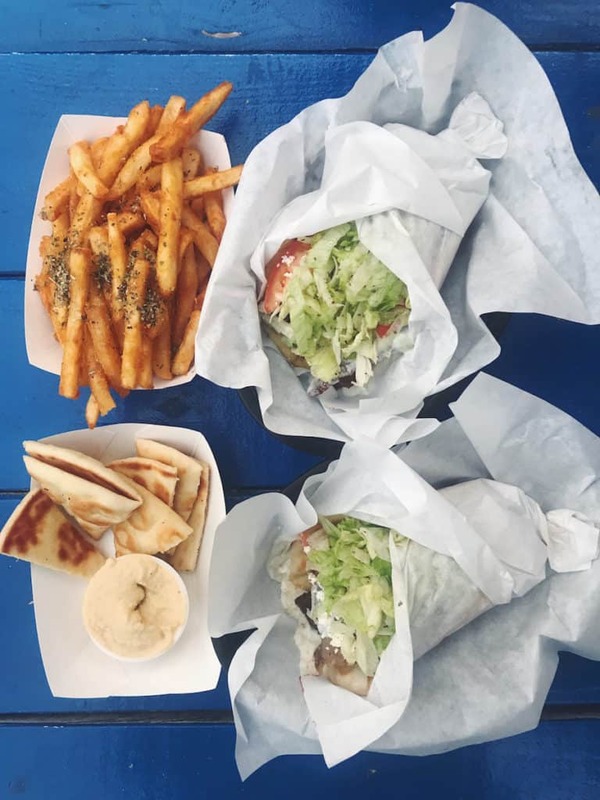 If anything on this list deserves a gold star for being a completely unexpected hidden gem when it comes to Missoula restaurants, it would definitely go to The Greek Pastry Shop, otherwise known to locals as “#1 Gyros”. After our friend Burke from The Notorious P.I.G. told us that we had to stop here for an amazing Greek gyros, we couldn’t resist. 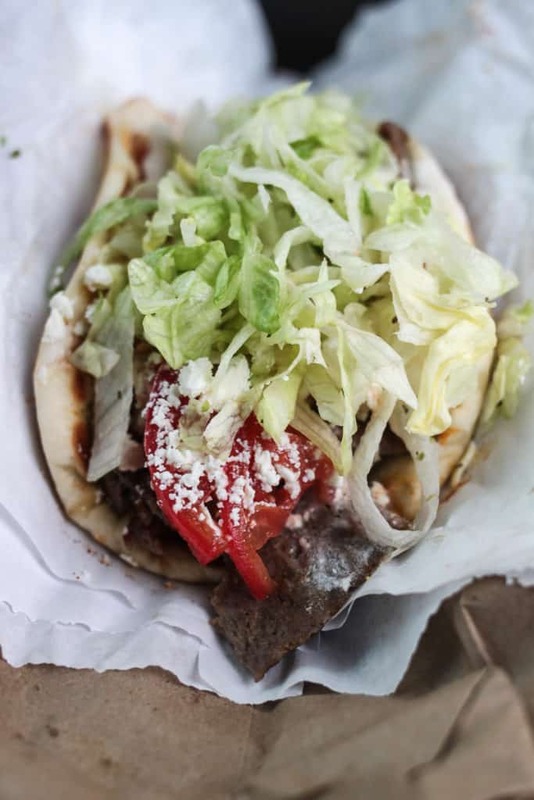 Sure enough, these gyros are some of the BEST we have had in our lives. I can taste them right now- fluffy white pita bread, juicy meat with a crispy grilled finish, fresh lettuce and tomato, and feta cheese- all assembled to perfection. The fries were equally exceptional and tasted as though they were double dipped (no calorie counting here). A fantastic hidden gem and extremely affordable with some of the kindest people serving the best food in Missoula! Even though we were able to dine here at least three or four times during our four week stay in Missoula, we couldn’t get enough! 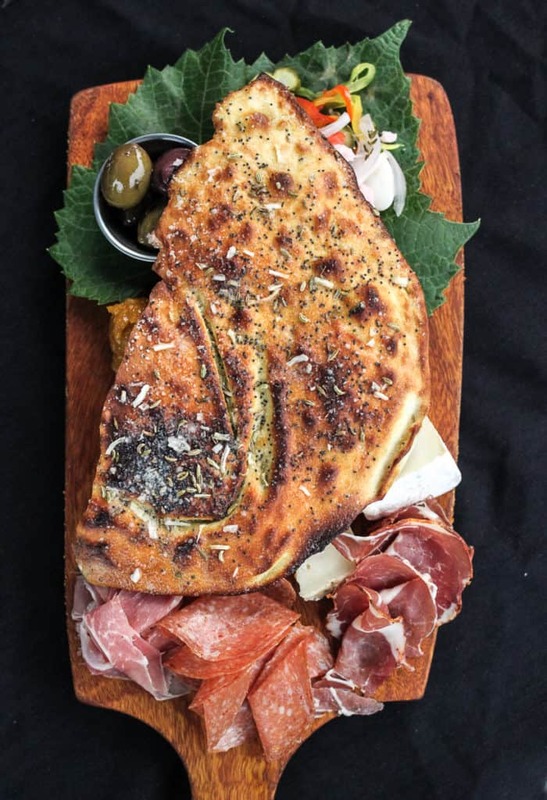 Decorated with painted ceilings, arched doorways, detailed mosaics, and one of the most beautiful patios in all of town, you’ll walk into this restaurant feeling like you’ve entered a scene in Western Europe. Everything we tried including items from the breakfast/brunch and dinner selections were fantastic. 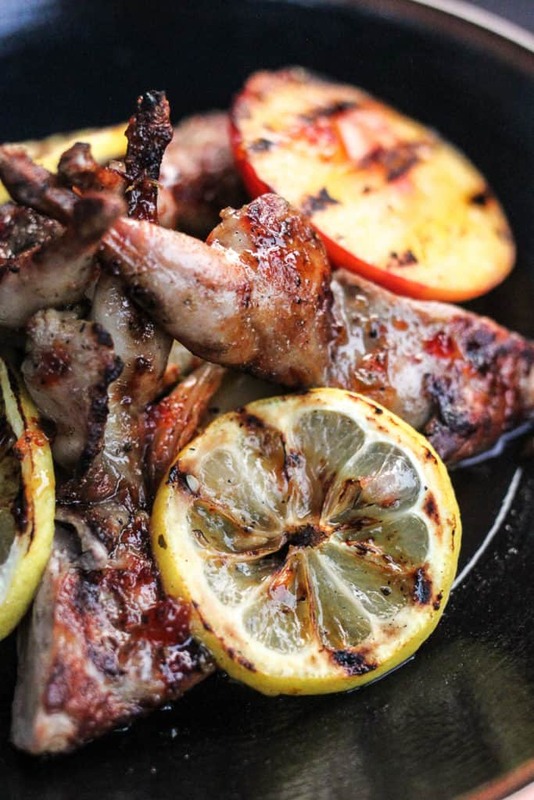 Their menu is constantly evolving depending on the season so you can rest assured knowing that your food will be prepared with local, seasonal ingredients and that each dish comes out of the kitchen with thoughtful preparation. 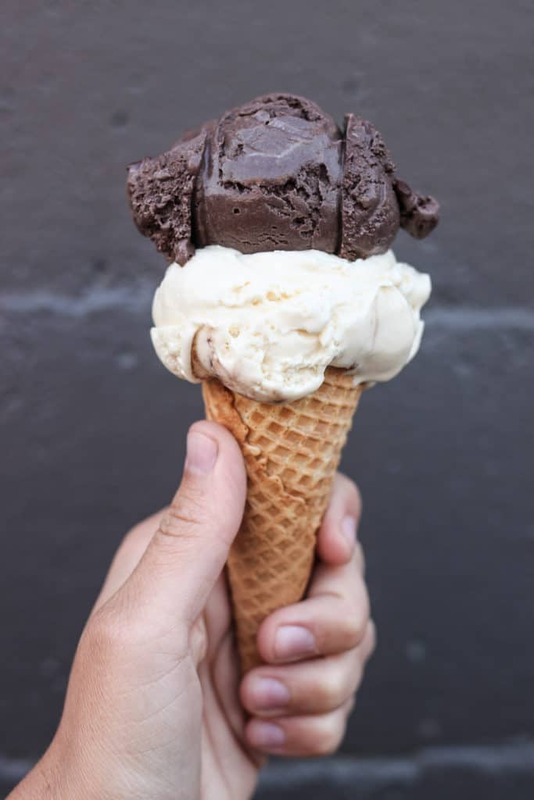 Make sure to finish your meal at Caffe Dolce with some of their house-made gelato or a homemade pastry. Every city whether big or small isn’t complete without a staple pizza joint, and the local favorite among Missoula restaurants is unanimously Biga Pizza. 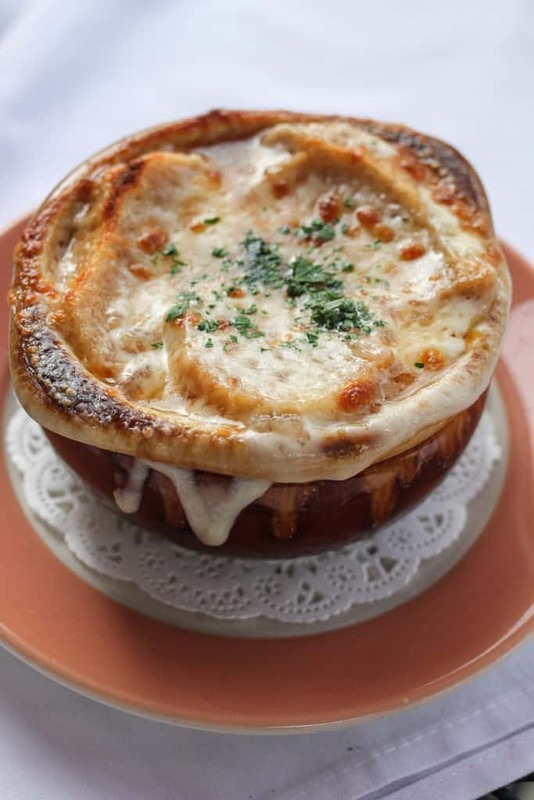 There’s something so enticing about their perfectly chewy hand-tossed crust, adorned with generous amounts of topping from Italian meats to fresh vegetables to nine different cheeses. 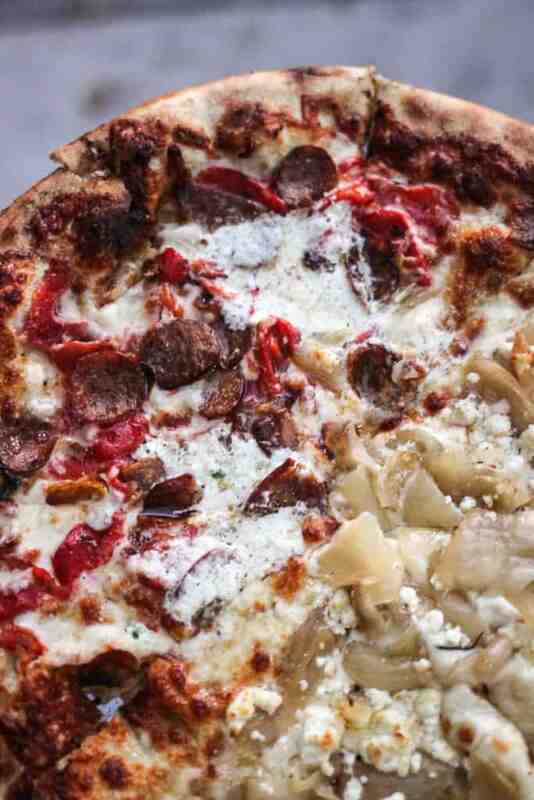 Our favorite order is a half caramelized goat cheese pizza (caramelized onions, goat cheese, fresh herbs, mozzarella, roasted garlic and olive oil) and half Sicilian (Italian sausage, mascarpone, roasted red peppers, mozzarella, roasted garlic, and olive oil) for a combination that dreams are made of. 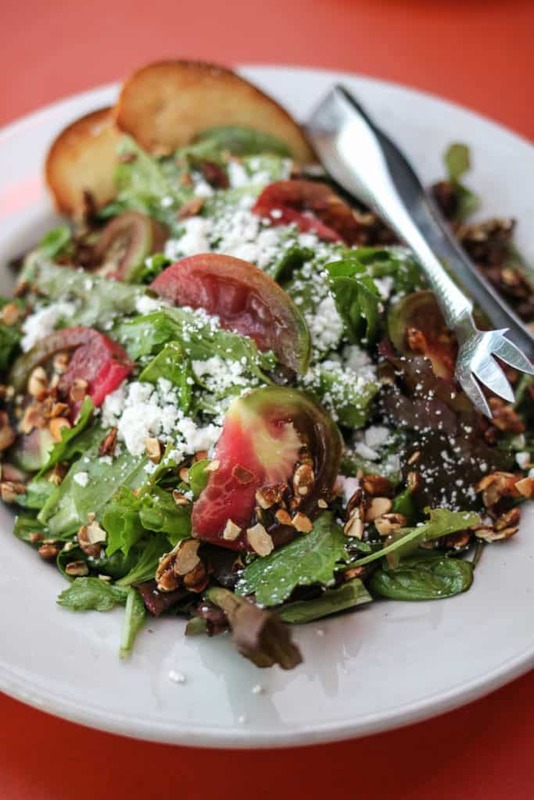 Order one of their fresh salads to start and be prepared for a wait- especially on the weekends! The unquestionable number one on our list of Missoula restaurants is without hesitation The Notorious P.I.G. BBQ. If there’s only one place you’ll eat at while visiting Missoula make it a meal here. Pit master and owner Burke Homes, is native to the Midwest but in recent years fell in love with Montana and the art of fly fishing. 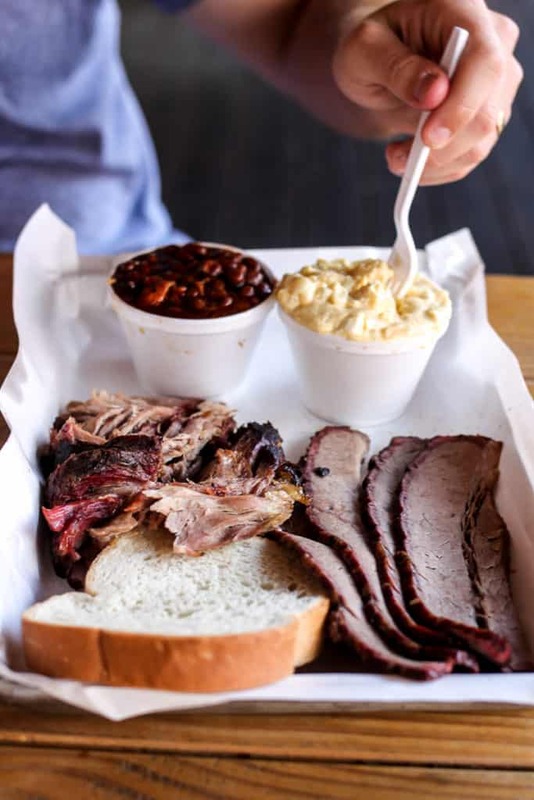 After training with several world-renowned BBQ experts across the country, he made his way back to Missoula combining favorite renditions of barbecue including Memphis style ribs, Kansas City burnt ends, Texas style brisket, New York City pastrami, and the list goes on. It will be hard to find anything you dislike here because they compromise on nothing. 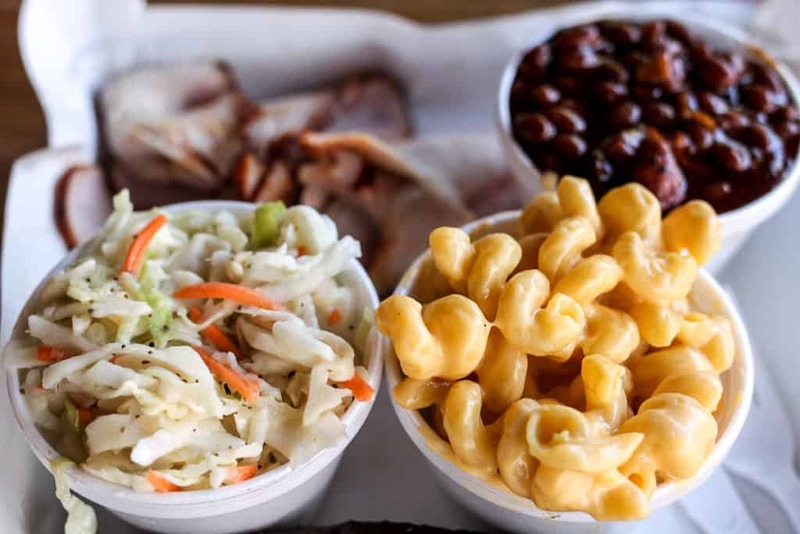 All of the meats and sides are prepared to perfection. 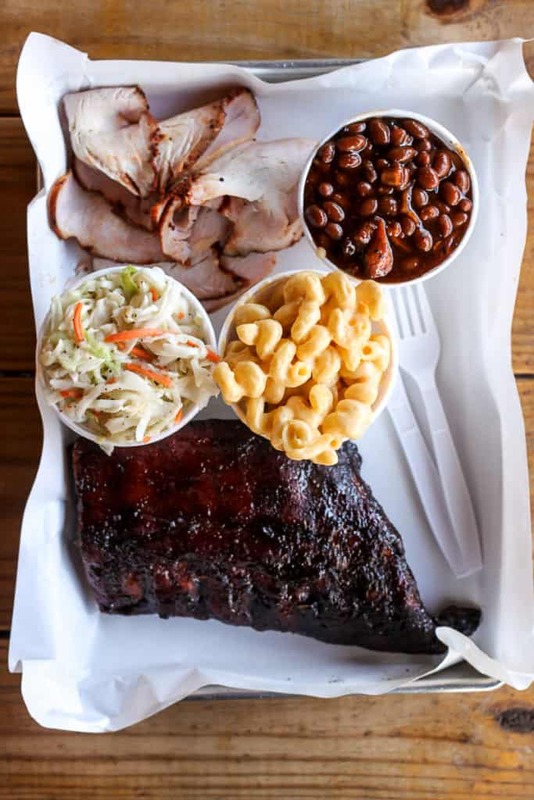 Plan accordingly (they do sell out) and prepare yourself for some the best barbecue you’ve had unquestionably in the state of Montana and perhaps in your entire life. 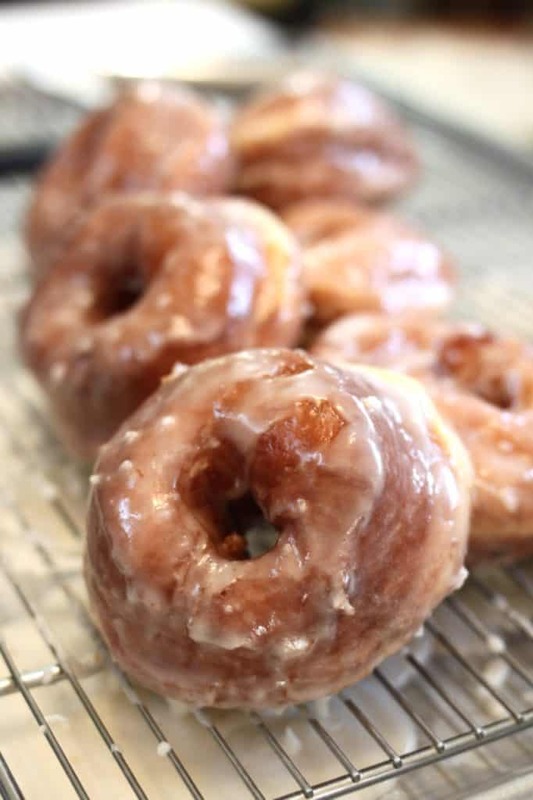 Because after scouring and searching for the best Missoula restaurants, we couldn’t possibly leave you high and dry when it comes to dessert options. 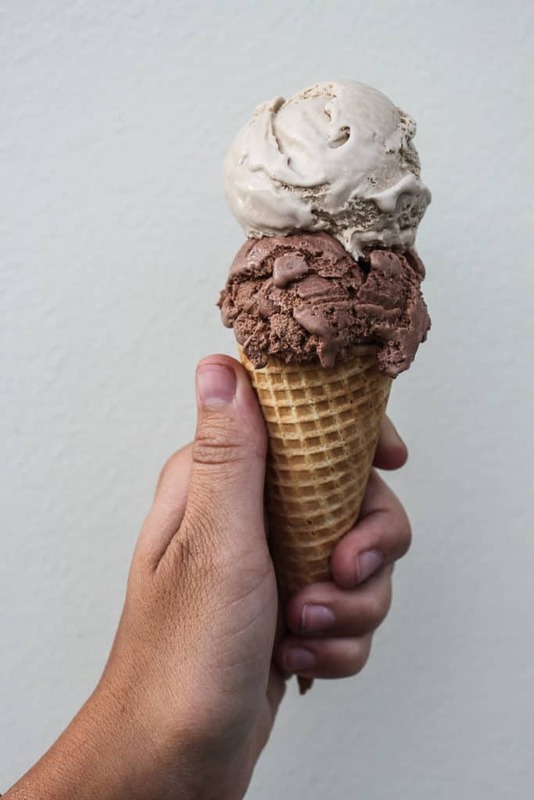 Below is our list in descending order of best picks for a sweet tooth craving while in or near Missoula including bakeries, ice cream shops, etc. Enjoy! Did you get a chance to try The Empanada Joint while you were in Missoula? I think this would be right up your alley. Next time, come on in for a taste of Argentina! Glad you gave The Food Mecca in Missoula the attention it so well deserves! five on black also has a second location thats open 7 days a week in the south crossing shopping center at brooks and reserve.the downtown location closed on sundays.to those that wish to go to windmill bakery?call the phone number first since i believe they have seasonal hours being open. 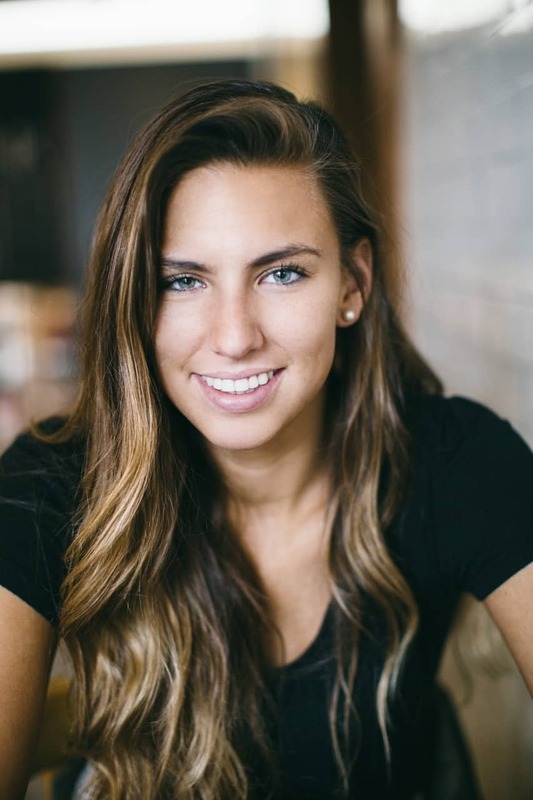 Hi Brooke, great picks and photos! We’re a new restaurant in town, Rumour Restaurant & Tap House, and would love to have you try us out the next time you visit Missoula. Cheers!